This article was last updated Oct 23, 2018, but some terms and conditions may have changed or are no longer available. For the most accurate and up to date information please consult the terms and conditions found on the issuer website. The information related to the Chase Slate® and the U.S. Bank Visa® Platinum Card has been collected by CompareCards and has not been reviewed or provided by the issuer of this card prior to publication. 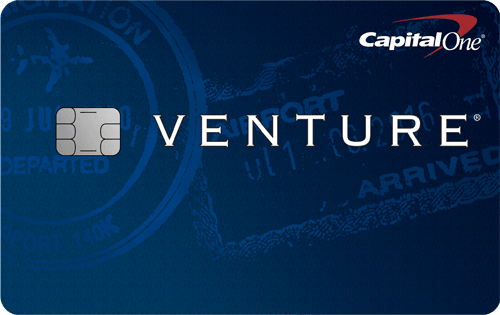 The U.S. Bank Visa® Platinum Card is good for people looking to transfer an existing balance currently on a high APR card and also those who want to finance a large purchase and pay it off over the course of several months. You have a fantastic 0%* intro for 18 billing cycles on Balance Transfers* and 0%* intro for 18 billing cycles on Purchases* (after, 14.74% - 25.74%* (Variable) APR). In addition, this card has some great benefits that make it more than just a run-of-the-mill balance transfer card. We discuss the benefits below. This card is not designed for people looking to earn rewards, as this card is marketed for its 0% intro APR period on purchases and balance transfers and not much else. If your primary purpose is to earn rewards or cash back, you’re better off with the Citi® Double Cash Card – 18 month BT offer or Chase Freedom®. These cards are better suited for rewards purposes. This card is a basic balance transfer card but stands out with a variable APR that is a few points lower than competing cards. While most cards charge an APR range in the mid-teens to mid-twenties, the U.S. Bank Visa® Platinum Card has a lower range currently at 14.74% - 25.74%* (Variable) APR. Although this may not seem like a big difference, a few points can add up if you carry a balance once the intro period is over. We recommend paying off your debt before the intro period is over so you don’t rack up interest. This card has a balance transfer fee of 3%. 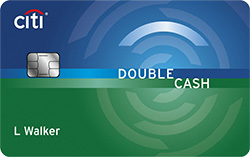 Although this is typical among balance transfer cards, you can find cards without balance transfer fees. However, the balance transfer fee is often outweighed by the money you save on interest by making the transfer. In addition, this card does not come with a rewards program (similar to most balance transfer cards). If you want to earn rewards on new purchases and transfer a balance, you’re better off with other cards like the Discover it® Balance Transfer. Cell phone protection: When you pay your cell phone bill every month with your card you will receive coverage for damage or theft up to $600, with a $25 deductible, for up to two claims ($1,200) per 12-month period. You have coverage for your primary cell phone line and any secondary, additional or supplemental lines. Terms apply. Free TransUnion® credit score: Monitor your credit with access to your free TransUnion® Credit Score. Visa® discounts: You can receive discounts and/or gift-with-purchase offers from a variety of retailers, such as hotels, clothing stores, food businesses and more. 24/7 U.S.-based customer service: Speak to a representative at any time to answer your questions. Simply call the number on the back of your card. To take full advantage of the balance transfer offer, a 0%* intro for 18 billing cycles on Balance Transfers*, then 14.74% - 25.74%* (Variable) APR, be sure to transfer your balance within the 60 days from account opening. After transferring your balance, make frequent on-time payments with the goal of paying your balance before the end of the intro period. This way you will avoid interest accruing on your balance and can become debt-free. If you plan on making a large purchase, keep in mind the intro period begins once your account is opened. Setting up autopay is a good way to make regular payments and organize your finances. There are some rules to keep in mind if you’re thinking of completing a balance transfer with the U.S. Bank Visa® Platinum Card. First of all, the total amount of your balance transfer request including fees and interest charges cannot exceed your available credit limit. Your balance transfer must be completed within 60 days from account opening in order to enjoy the 0%* intro for 18 billing cycles on Balance Transfers* (14.74% - 25.74%* (Variable) APR, thereafter). The easiest way to complete your transfer is to initiate it at the time of application. When you do it this way, you don’t have to input an offer code or worry about missing the intro period. Transfers done at the time of application will not be processed until at least 10 days from account opening. To complete your balance transfer at a later date, log in, select your account, click “Request a Balance Transfer” and enter all the required information including the five-digit offer code you received via email, then verify and submit your transfer. If you have issues obtaining your code, call customer service at 800-285-8585. Transfers may take up to two weeks to process. The U.S. Bank Visa® Platinum Card and the Chase Slate® credit card are similar cards, but the Chase Slate® credit card wins in a matchup because of its balance transfer fee. While the U.S. Bank Visa® Platinum Card has a balance transfer fee of 3%, the Chase Slate® credit card has an Intro $0 on transfers made within 60 days of account opening. After that: Either $5 or 5%, whichever is greater. The intro transfer fee allows you to save more money on top of the interest savings you are already receiving from the balance transfer. For example, if you transfer $1,000 to the U.S. Bank Visa® Platinum Card, you will incur a $30 balance transfer fee. Meanwhile the same transfer to the Chase Slate® during the 60 days from account opening comes at no additional cost. The Chase Slate® may be a better option for you if you want to avoid a balance transfer fee. Balance Transfer Fee 3% Intro $0 on transfers made within 60 days of account opening. After that: Either $5 or 5%, whichever is greater. For people looking to complete a balance transfer and rid themselves of debt, the U.S. Bank Visa® Platinum Card provides a good intro period for you to pay off your balance. The Visa® Discounts provided to cardholders and the free credit score are some of the great added benefits you’ll enjoy with this card.